The TOP version features a basic gearbox (speed four) with 4 speeds and 3 ranges, (controlled by the green pushbuttons integrated in the gearshift lever) , which, in conjunction with the T-Tronic module (3 Powershift H-M-L ranges under load) and the reverse shuttle provides 36 forward and 12 reverse speeds. 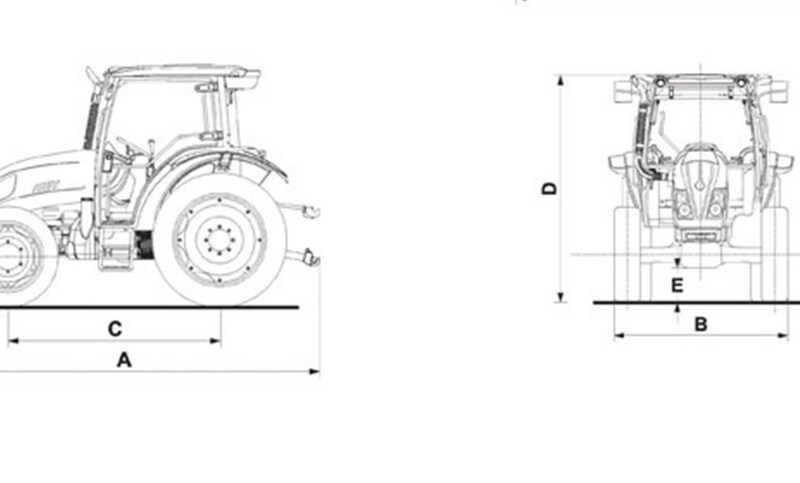 A creeper is available as an option extending the flexibility to 48 FWD and 16REV speeds. 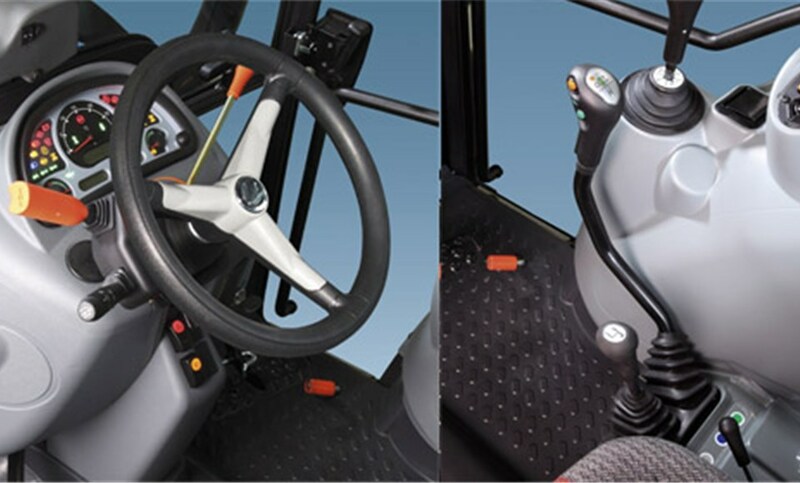 The DE-CLUTCH CONTROL (orange pushbutton integrated in the gearshift lever) and the REVERSE POWER SHUTTLE (hydraulic reverse shuttle with lever integrated in the steering column) allow the operator to change gear and shift from forward to reverse without using the clutch pedal. 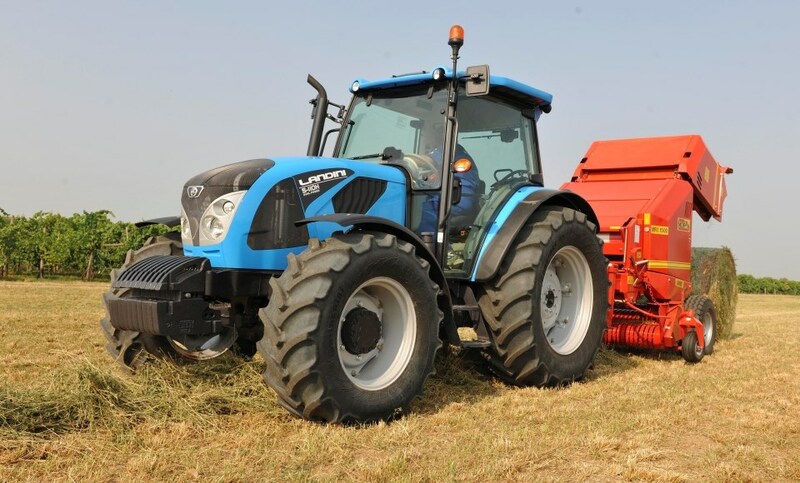 The most outstanding feature of the 5H series tractors cab is the all-round visibility of the “total view” cab provided by the all-glass side doors hinged onto the rear post. The interiors, stylish and accurate, have been executed by making large use of the composite materials of modern automotive design. 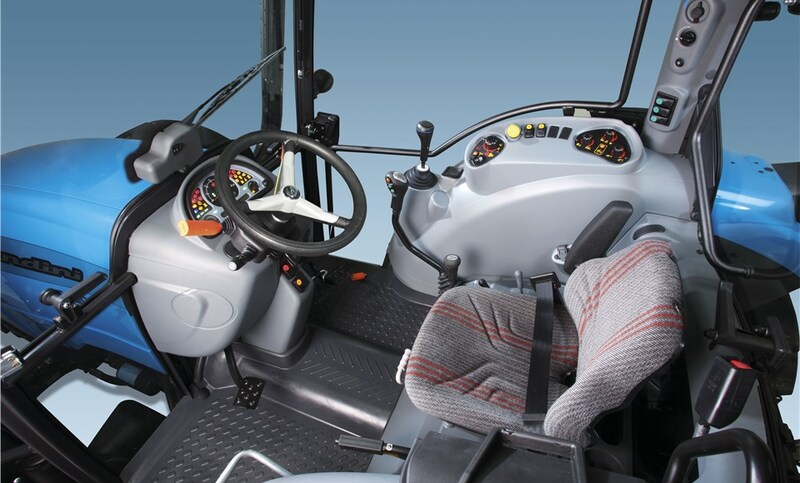 All controls are arranged in a comfortable and intuitive position, according to current ergonomic standards. The heating/ventilation and air-conditioning system is installed on the cab roof with considerable benefits for the driver in terms of comfort, safety and health. The ventilation system is integrated by two filters designed to purify the air inside the cab. The roof features a fixed glazed hatch with sunshade, particularly useful when working with front loaders, and four lights providing great visibility during night work. Natural ventilation is ensured by the openable front and rear windscreens. The new hydraulic circuit provides a maximum total flow of 82 l/min. 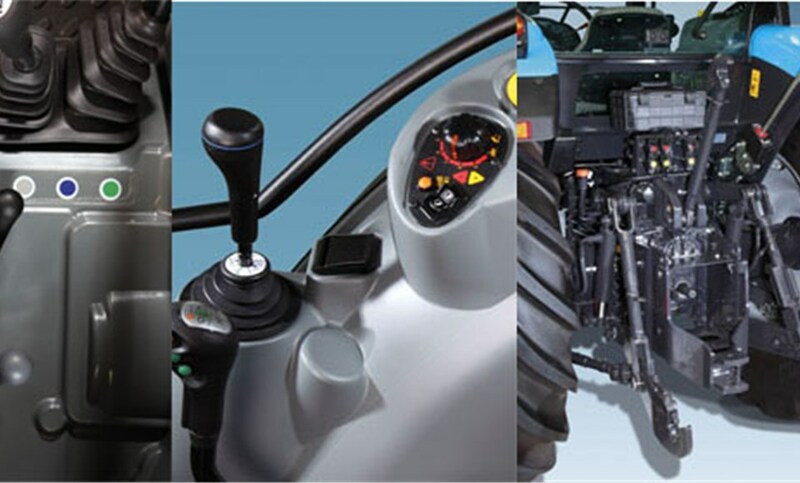 The system features up to 4 auxiliary spool valves with lever controls integrated in the console at the driver’s right-hand side. . Two of them are controlled by joystick (1) for front loader operations, while the other two are operated by a standard lever (2) ensuring this range an extra versatility and productivity when working with farm implements.